• Critical Care Nursing Educator at Mercy Medical Center, Rockville Centre, NY. • Involved in nursing and critical care since 1975. • Registered Nurse since 1978. • Nursing teacher since 1984. • AHA Certified Instructor since 1984. • In nursing management since 1987. • Adult Nurse Practitioner since 1996. • Masters Degree in Nursing since 1996. • Former Assistant Clinical Professor of Nursing at Long Island University. • Published author and conference speaker. • Personally trained many RN’s, MD’s, PA’s, DO’s, NP’s, and DDS’s in New York City, Westchester, and Long Island. • I offer my AHA approved classes in our classroom, in your office, or hospital unit. centers, dental offices, and hospitals. • I also certify the students at several medical and nursing colleges and universities. Michele with colleagues at Long Island College Hospital, Brooklyn, NYC. Kunz is an AHA Certified Instructor and specializes in providing AHA Certification classes in ACLS, BLS, and PALS. She is also a certified six-sigma green belt (CSSGB). And also licensed in NY as an RN and as an ANP. Kunz has been a clinical nursing educator for over 30 years. During those years, she has helped many thousands of nurses improve their own job performance and increase their own job satisfaction. Kunz considers herself to be a nurse’s nurse, because she is not hidden away in a classroom or office, but out on the floor everyday – interacting with hospital management, the nurses, the patients, and the physicians. 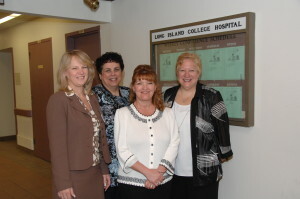 For many years Kunz was the Director of Nursing Education and Informatics at Long Island College Hospital in Brooklyn, NY. She was in the LICH Nursing Education Department for 25 years. 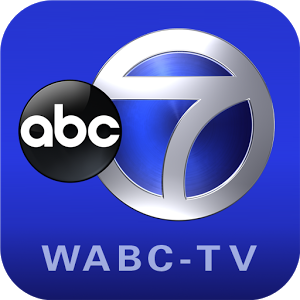 She also developed the desire to teach nurses over 34 years ago when she was an ICU nurse at Staten Island University Hospital. It was at SIUH that Kunz realized that she could learn how to be a better nurse by teaching the other nurses. Kunz haven’t stopped teaching since then. Kunz is also the Director of Medical Training at Dickson Keanaghan, LLC, a company that she helped create, where she trains and certifies the medical staff at over 700 hospitals, medical offices, and surgi-centers throughout Long Island, New York City, and Westchester. Kunz has developed and led the company’s diverse revenue streams which tap into print and electronic media that reach consumers in retail stores and campus bookstores throughout the world, and on their computer, mobile phone, television, and every other consumer electronic device. Creator of Dickson Keanaghan’s flagship product, the best-selling Zombie Notes Study Charts. These study charts are used by hospitals, colleges, RNs, NPs, PAs, DOs, and MDs throughout America. Kunz and his wife Michele have produced these study charts since 1984. They have become the most sought after and trusted study charts of their type. Many of them have consistently been the top seller in several different categories on Amazon. The Zombie Notes Study Charts are distributed throughout America and to every country where English is spoken – including to our soldiers all over the world who are medical professionals that need to maintain their certifications. By 2008 they began publishing their first nursing book. This first book was a student-friendly edition of Florence Nightingale’s Notes on Nursing. In its first year it became ‘required reading’, and also put on the ‘recommended reading list’ of many university and college nursing programs, throughout the USA and Canada. This recognition help propel this book into the best-selling book in its category. 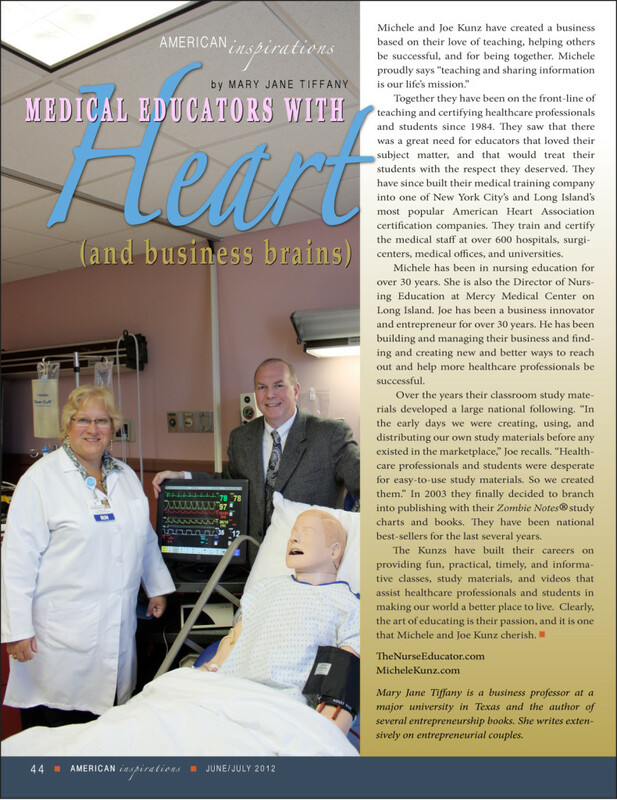 My nursing professor Cathy Jansen at Nassau Community College recommended that I take Michele’s class for ACLS. Professor Jansen has previously taken Michele’s ACLS class. I really enjoyed Michele’s YouTube videos tremendously. And her Zombie Notes Study Charts were also a great way to comprehend the study material beforehand. As a student nurse, I have a great interest in critical care, which is Michele’s specialty. Michele is phenomenal. Her class was broken up between the lecture, the video, the written test, and the hands-on exam.